Every parent knows of that struggle, the constant battle to keep your children engaged in able to teach them - we believe that the best way to do this is through pictures! 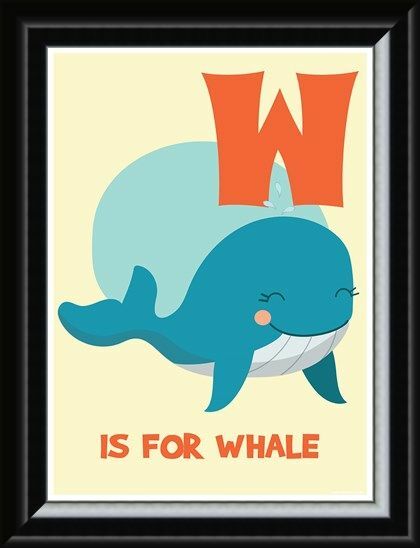 Our alphabet collection is sure to help your children rediscover the fun in learning as well as adding some fun colour into their bedroom. 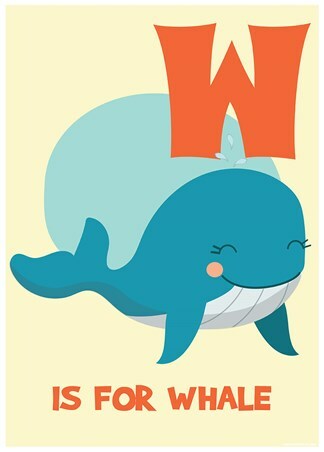 This particular mini poster features the letter 'W,' with a blushing whale as he swims into the centre. Whether paired with the rest of our collection or alone, this fun mini poster is a great way to add some colour and excitement to your child's room. 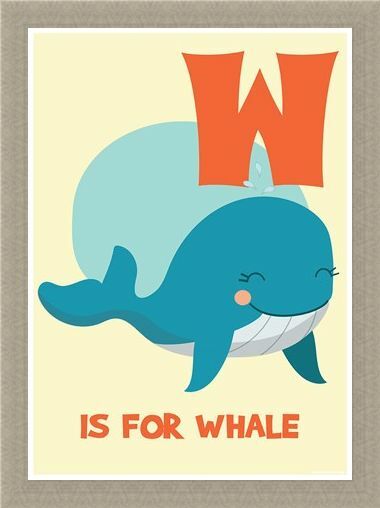 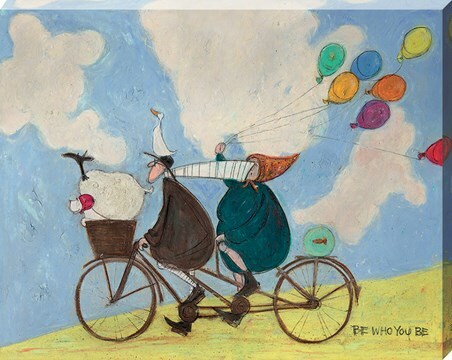 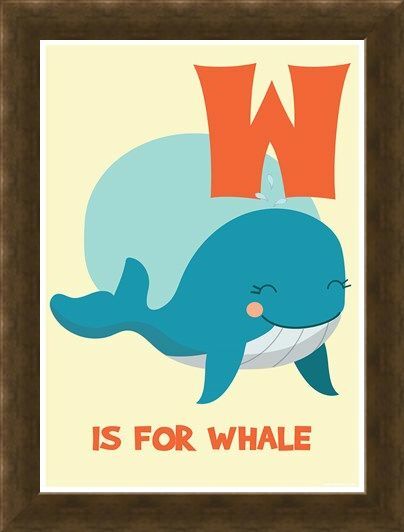 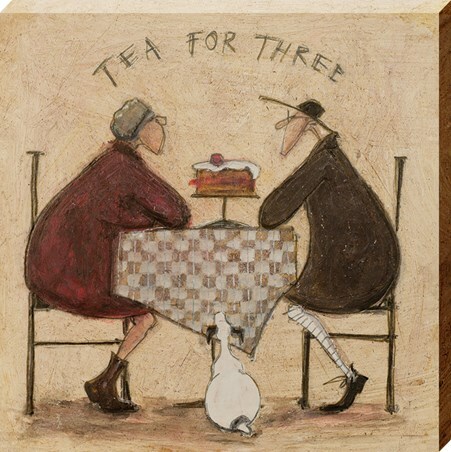 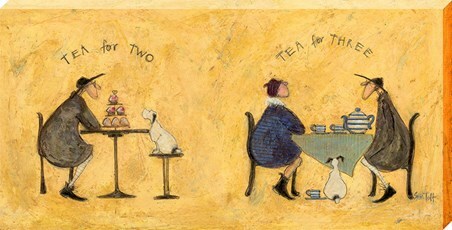 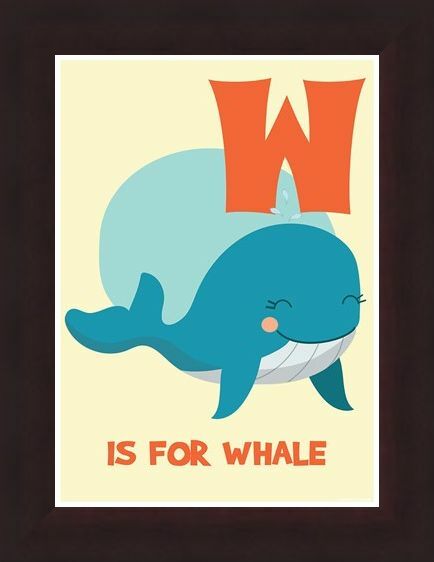 High quality, framed W Is For Whale, Learning By Pictures mini poster with a bespoke frame by our custom framing service.